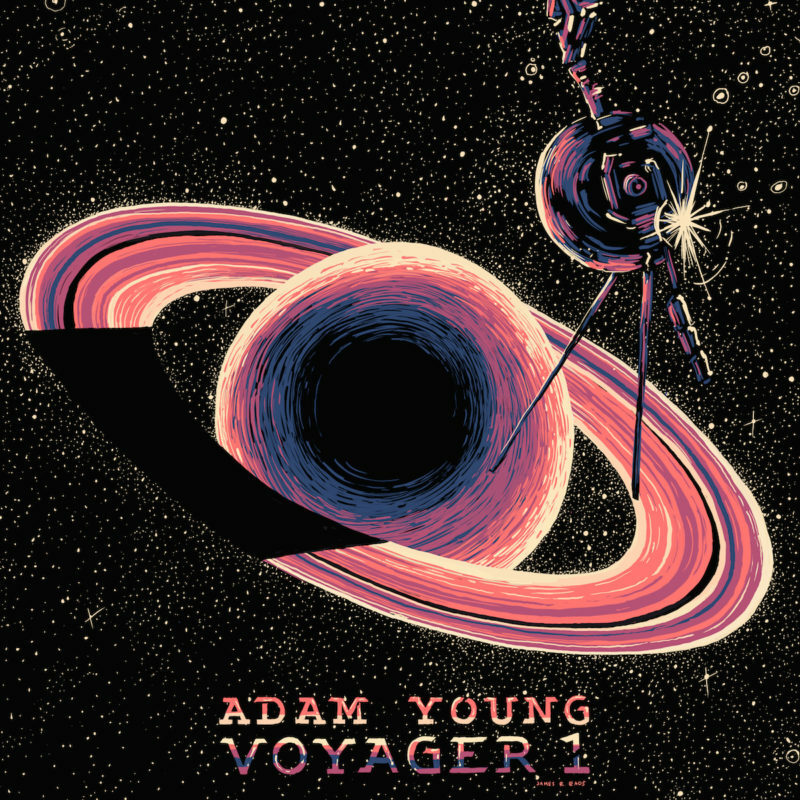 Voyager 1 is a space probe launched by NASA in 1977 as part of the Voyager program to study the outer Solar System. Having operated for the past 39 years, the spacecraft still communicates and returns data to us, and as of 2016, it is the farthest manmade object from Earth. When I picture Voyager 1 out there beyond our solar system, I can’t help but imagine the things it has seen on its journey. It’s flown by Jupiter, Saturn, Uranus, Neptune and beyond. In 1990, it looked back and took an image known as the “Pale Blue Dot” which shows Earth 6 billion kilometers away, a tiny white speck suspended in the darkness of deep space. It was this breathtaking image that inspired me to create this score because it reminds me that life, as far as we know, is unique to our planet, and very fragile indeed. 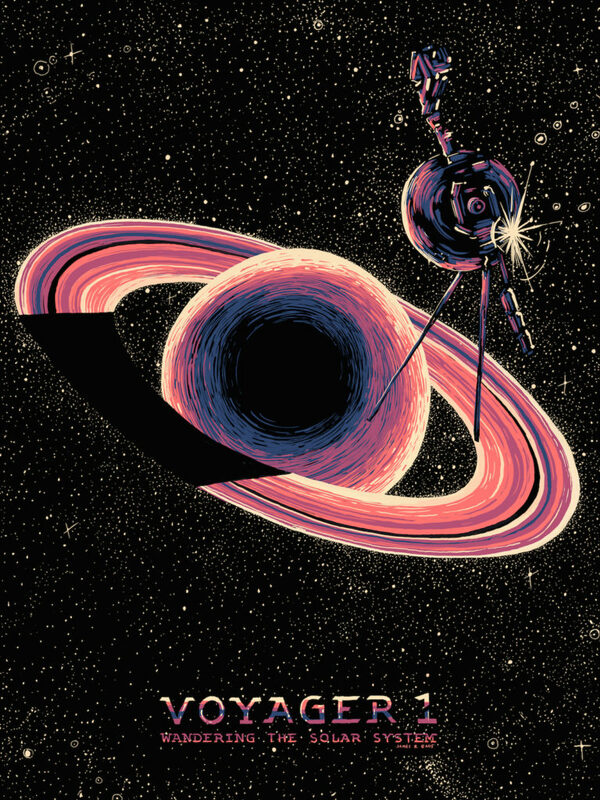 "Voyager 1" is an 18" x 24" four color screenprint on Neenah Epic Black paper. Prints are numbered in a limited edition of 250 and hand signed and numbered by Adam Young and artist, James R. Eads.